A window will pop up to allow you to quickly name your device and choose its location. 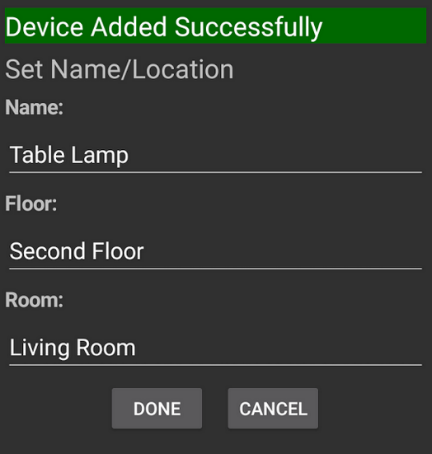 The Name is a text field while Floor and Room are select menu. After selecting your Name, Floor, and Room click Done. You will only be able to edit this this device through the HS3 Web Control. *Note: Once you select New Floor or New Room you will not be able to go back to the Floor or Room select menu.